NOTE: Because it is so clean and fresh, and is un-roasted, you may find that this Baozhong does not need the quick rinse usually applied to an oolong. 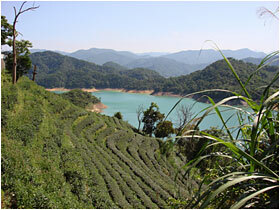 While oolongs are traditionally ‘rinsed’ before being steeped, Baozhong and Bai Hao do not not require rinsing. 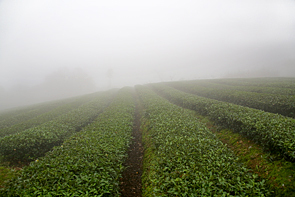 Most other oolongs, especially aged and roasted oolongs, are traditionally ‘rinsed’ before being steeped. This is done with a quick application of hot water that is poured over the tea in the gaiwan or teapot and then immediately discarded. The rinse water is not drunk – its purpose is to help the leaves begin to open during steeping. Use additional appropriately-heated water for the 1st steeping and subsequent re-steepings. 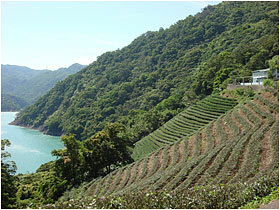 Baozhong is one of Taiwan’s most delicious and refreshing teas. 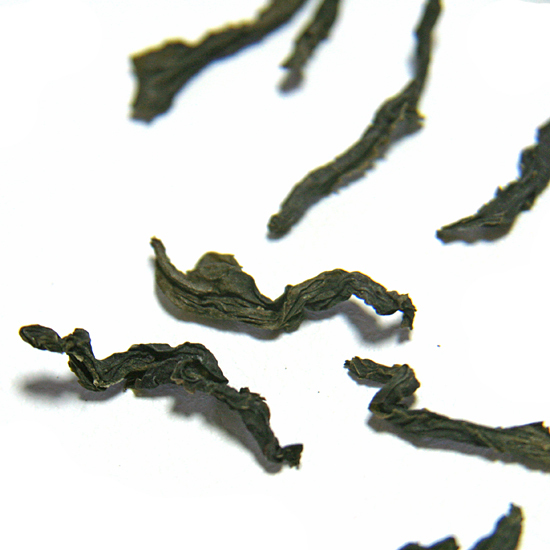 It is unique among Taiwan oolongs for its appearance as well as in its distinctive flavor and strong emphasis on rich, floral aroma. Baozhong is not a rolled tea as the majority of Tawian oolongs are – it is made with a minimum amount of rolling (or handling at all) and can easily be mistaken for a leafy green tea. 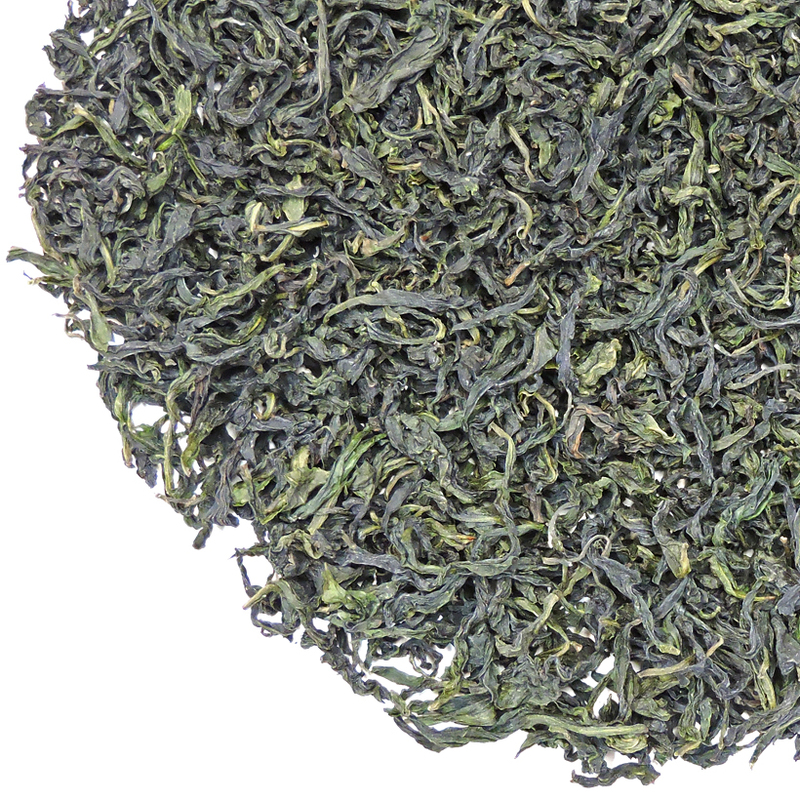 But Baozhong is more luxurious-tasting than most green teas and it has more body, mouthfeel and ‘umph, ‘ too. 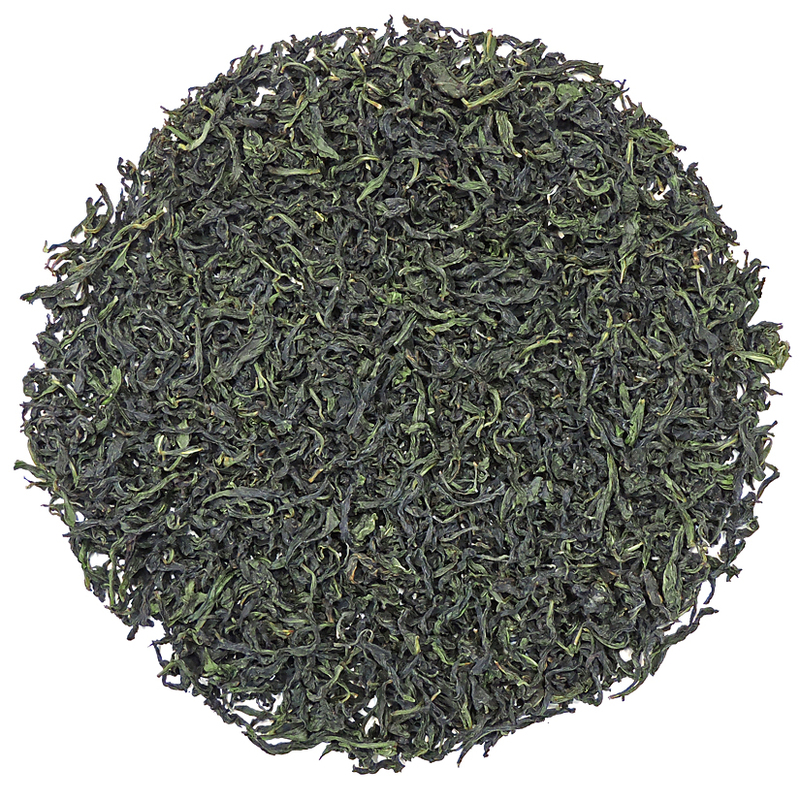 It has a lovely translucent color in the cup and a sweet, fresh floral aroma. While Baozhong can be given a light or medium roast, Tea Trekker’s Baozhong is unroasted, which allows its sweet floral nature to really come through in the cup. 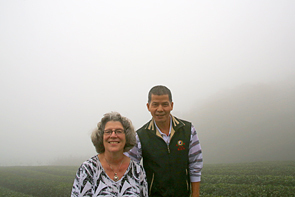 This tea, along with Fo Cha green tea from China and Shan Lin Xi gao shan from Taiwan, are three of Mary Lou’s favorite sweet, floral teas. 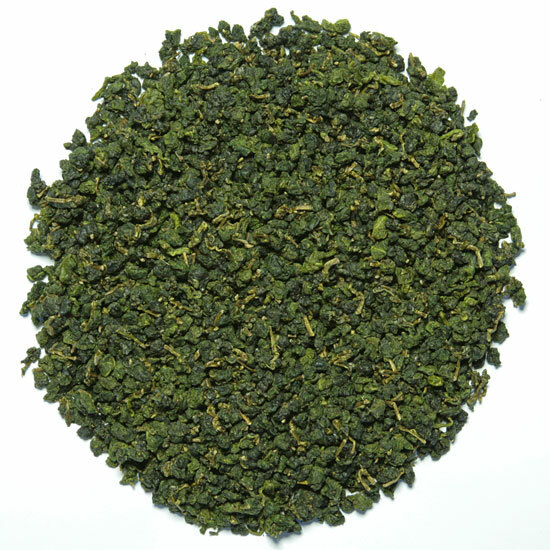 However, despite its leafy appearance, Baozhong is most certainly fits the classification of oolong tea. During its manufacture the fresh leaf is withered first outdoors, then indoors (green tea is not withered) and minimally oxidized 12 -18% (green teas are not oxidized ), placing it in the lightly-oxidized end of the oolong oxidation spectrum (which ranges from 12% to 80%). 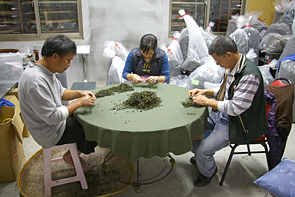 Slow, patient leaf processing is necessary for Baozhong so that the tea does not lose its fresh, pure, sweet taste. 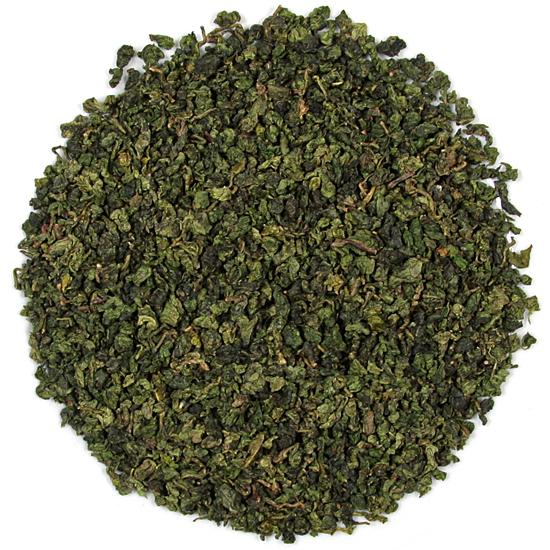 Large-leaf, sweet, juicy Baozhongs appeal to such a wide range of tea enthusiasts and we are thrilled to have this delicious selection for our customers. We first tasted a truly impressive Baozhong when we visited its place of origin – Wenshan District, Taipei County,Taiwan – and were immediately smitten by its charms. Baozhong is not easily found in the US, so if this is your first time tasting it you are in for a treat. 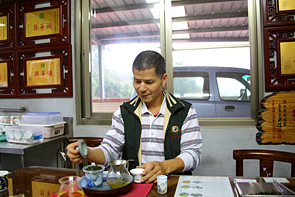 Tea Trekker’s Baozhong is made from leaf plucked from plants that are grown in tea gardens on the hill overlooking the Fei-Tsei Dam, which supplies drinking water to Taipei City. This is a protected and un-spoiled watershed area.